Camping provides you with an excellent opportunity to enjoy nature and also create quality memories with your family. It doesn’t matter if you’re pitching a tent in your backyard, or if you’ve decided to venture deep into the wilderness. You can enjoy good food during your adventure! With a little advanced planning it’s possible to enjoy every single meal you prepare during your camping trip. You don’t need fancy cooking utensils like jet boils, fancy propane stoves, and fold up pans. These items are nice, and if you go on camping trips several times a year, they can be a sound investment, but casual, resourceful individuals find they do quite well with items they already have in their kitchen and a fire pit. Grabbing your favorite cast iron skillet or large pot might is definitely a preferred way to go. But if you’re still waffling on a longer-term purchase, all you need is one or two good aluminum pie pans, a pair of tongs, and a full roll of heavy duty aluminum foil. You will be able to purchase everything you need for a few dollars at a grocery store. The variety of items you can cook on your fire pit with these tools will astound you. Whenever you want to eat anything hot, you simply wrap the food in an aluminum packet and toss it on the fire pit. In ten minutes you’ll be ready to dine. Since the foil will be hot when you remove it from the pit, you’ll want to use the tongs to unwrap your dinner. Not only will you have hot, delicious food, but cleanup will be a breeze! Having the pie tins makes it possible for you to fry any bacon you might have brought along, or to heat soup and chili. A few simple tools make it possible for all foodies to enjoy great cooking while camping! As a foodie, you want your cooking to net delicious results. The type of camping you’re doing and the amount of food you bring along will determine what you can make. The good news is that you’ll be able to use your campfire to make a number of simple meals which will appeal to your taste buds, and provide you with the energy needed for a full day of exploring. A few pounds of good hamburger can go a long ways. With the addition of some brioche rolls, a little seasoning and some butter you won’t need the condiments you use at home. 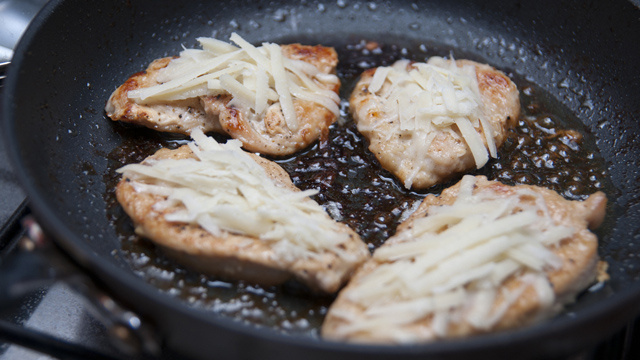 When preparing the meat, take a thin pat of butter and place it in the center of each patty. Wrap the meat in aluminum foil and place it on the fire for a few minutes. 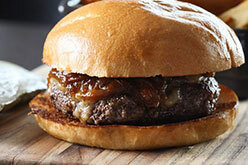 The burger will explode with flavor—and you can even toast your buns! In the morning you can mix a little burger into some cream of mushroom soup and add a little seasoning and prepare it the same way you would make sausage gravy. A cooking fire and your pie tin make preparing scrambled eggs easy, and they’re a great source of protein which will keep you going all day long. Add a handful of diced peppers and a pinch of your favorite savory spice blend for an extra dose of flavor. S’mores might be the standard campfire dessert, but they’re not your only option. Take an apple. Put it and some butter, sugar, and cinnamon in a foil packet, and bake in your fire pit. It will be the tastiest apple you’ve ever eaten! Just because you’re camping, there’s no reason you have to subside on trail mix, granola bars, and jerky. 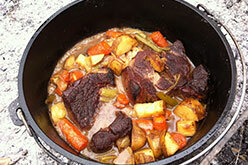 Anyone can use a campfire and prepare some simple, delicious meals. The types of meals you enjoy will be determined by the ingredients you bring along. When shopping look for food that you can use for a couple of meals. Don’t forget, the better the quality of your ingredients, the better you meals will taste. 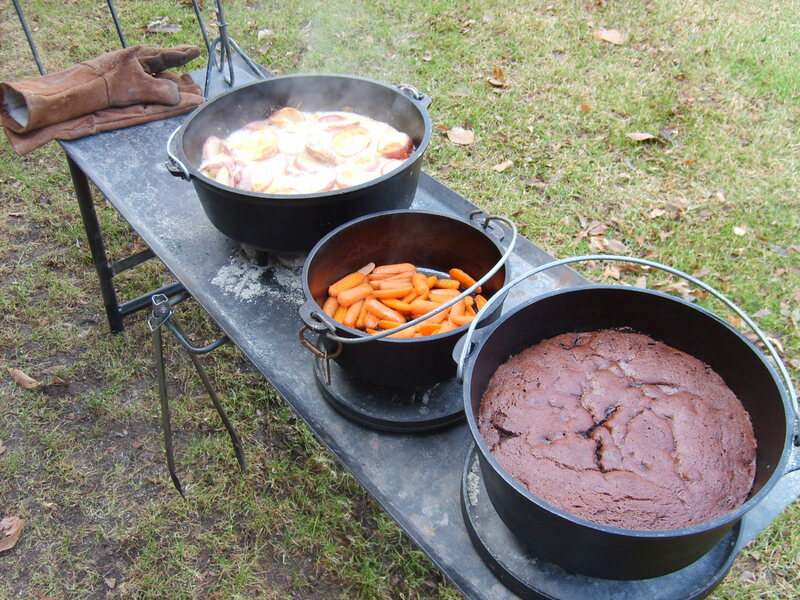 In addition to cooking on the camp fire, you might also want to prepare a few meals ahead of time and bring them along. 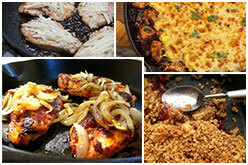 Do you have favorite campfire recipes? Helpful tips? A campfire cooking story? Feel free to share in the comments below!